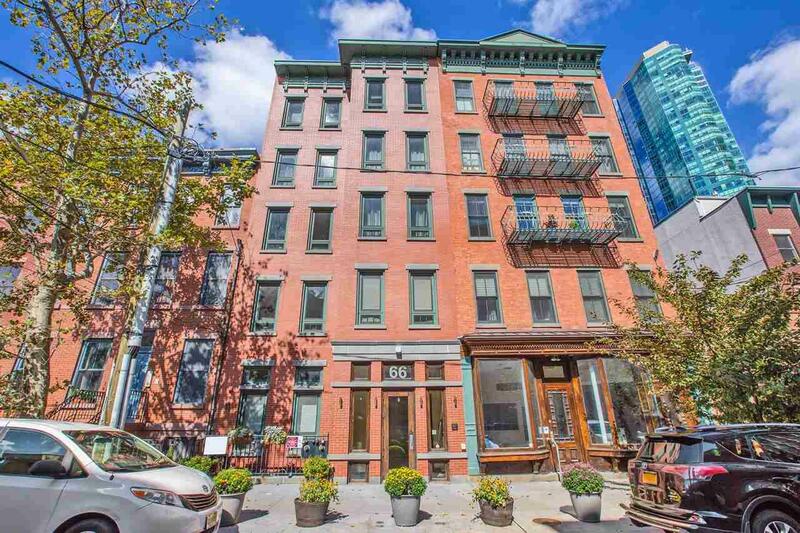 This impeccable 2BR/2.5BA, multi-level home in the sought-after Paulus Hook area of Jersey City, has all you're looking for and more! Enjoy a private oasis, away from the bustling city-life! This sprawling unit boasts 1419 sqft of indoor living space, high-ceilings, 2 balconies, a private outdoor space and direct access to the building's common outdoor space as well. Your beautifully upgraded kitchen includes stainless steel appliances, granite counters, recessed lighting and center island. Both bedrooms have installed custom closets and master bedroom also has a well-appointed en suite bathroom. Perfect for your commute with easy access to NYC busses, LightRail, Exchange Place PATH & the Ferry! Paulus Hook offers restaurants, shops, with a gorgeous NYC backdrop and access to the beautiful 12 acre Liberty State Park.